From New Manchester Review Jan 12th ’79 and on same page as last upload. 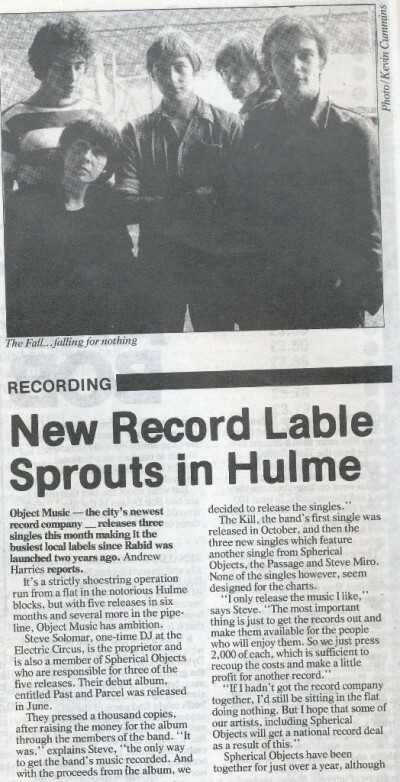 Photo of The Fall possibly taken in Hulme as some of them were residing there at the time. Article about Object Music record label.